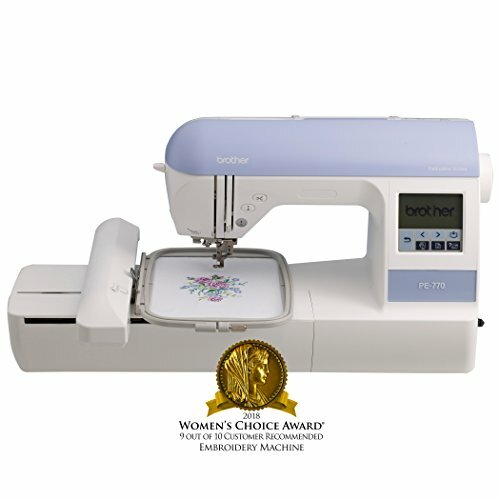 How Do You Find the Best Cheap Embroidery Machine? The most important aspect of clothing designs is embroidery. It allows the designer to transform their piece from ordinary to exceptional. Embroidery enables the designer to create clothing masterpieces by engaging their creative abilities. Embroidery machines are extremely resourceful in turning creative imagination of a designer into an actual design. If you have the best embroidery machine, you can create compelling clothing designs. Over the years, embroidery sewing machines have seen tremendous improvements. Now many inexpensive embroidery machines are available with advanced features that will make embroidery quick and effective. If you are just starting out with embroidery, you should not spend a lot of money and get a top-of-the-line embroidery machine. Instead, look for a cheap embroidery machine. Cheap embroidery machines are budget machines that will not strain your finances. They will let you practice embroidery and create creative designs. You can get started with a cheap embroidery machine and once you have gotten good at embroidery, you can get yourself a more expensive embroidery machine with better features. There are a lot of embroidery machines available in the market. This may make it hard for you to find a cheap embroidery machine that comes with all the necessary functions and features you need for embroidery work. So, we have decided to help you out by compiling a list of the best cheap embroidery machines available on the market. Check out the features and functions of these machines to find a cheap embroidery machine that best suits your needs. Before we discuss the best cheap embroidery machines, let us discuss the different types of embroidery machines and show you how you can find the best cheap embroidery machine. and the ones that have built-in patterns and a USB port to transfer more designs. When you are looking at an embroidery machine from the cost standpoint, the machines that have several built-in patterns are probably the best deal. They’ll cost you about 30 percent less than other embroidery machines. These cheap embroidery machines are perfect for you if you have never done embroidery before. If you have some experience with embroidery, you should find a cheap embroidery machine that has the option to add more designs files to the collection of built-in patterns. Not only that, but the machine should also allow you to modify existing patterns so that you can change the design to best meet your project needs. Many expensive embroidery machines come with remarkable features and you can use them for monogramming, ruffles, stitching, and other work. 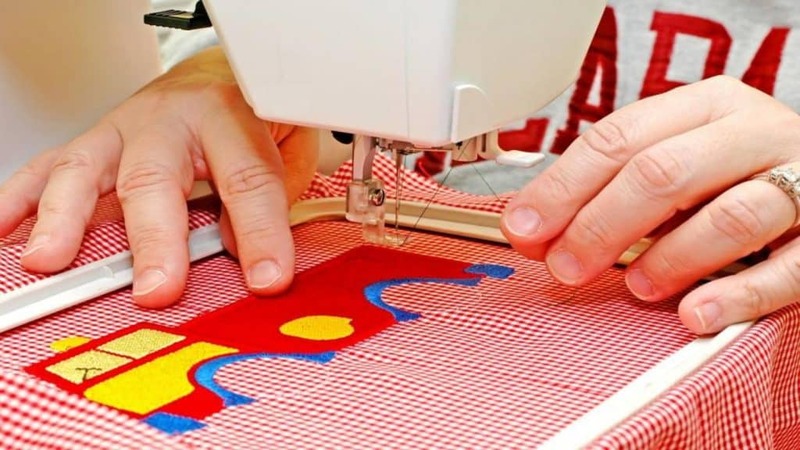 You may not be able to get everything done with a cheap embroidery machine, but they will certainly allow you to create impressive clothing designs and help you get started with embroidery. 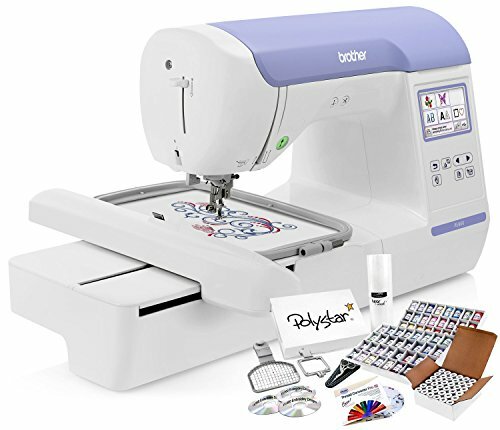 If you are looking for a cheap embroidery machine, then search for a machine that comes with autopilot functions and automatic thread tension. Only the advanced crafters can control all aspects of embroidery manually while maintaining control and even they prefer taking a break. Look for an embroidery machine that provides consistent speeds and consistent tension. You would also want to find a cheap embroidery machine that comes with a color-coded threading and top loading bobbin to make using it simpler. Embroidery takes a lot more thread than other sewing chores which means that you may have to wind bobbins while sewing. You should also look for a machine that has a large frame. The minimum size that you should seek is 4×4 inches square as it would allow you to create good quilting squares. Certain machines will allow you to connect quilted squares after you have finished them. The best cheap embroidery machine also gives you access to a number of extra patterns. You may also be able to load more designs onto your embroidery machine directly and customize them according to your preferences. 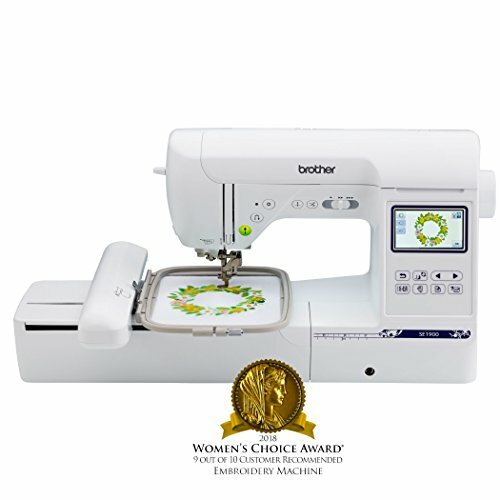 The Brother SE400 combination computerized sewing and 4×4 embroidery machine comes with 70 built-in embroidery designs and 67 unique stitches that allow you to select the design that best meets your needs. The 4×4 inch embroidery area gives you plenty of space to exhibit your creativity and create amazing designs. The Brother SE400 also has a touch screen LCD display to make it easier for you to use and operate the machine. One of the features that we love in Brother Embroider Machine is its connectivity. You can download beautiful embroidery designs to your sewing machine from the computer and unleash your creative side in the best possible way. Firmware updates can also be downloaded easily in the Brother SE400. If you are getting started with embroidery, then the Brother SE400 would be the right choice for you. It comes with several built-in designs and offers computerized connectivity. A newer version of this embroidery machine is more advanced and has better features than the previous version. The new version comes with 100 built-in sewing stitches and 80 embroidery designs. It also has a colored touch screen that lets you preview the embroidery design exactly the way it will appear in real. The Brother PE770 provides an impressive 5×7 inch area for embroidery work. This is sufficient enough to make attractive clothing designs without any issue. This cheap embroidery machine comes with 136 built-in designs including florals, quilt patterns, and scrollwork. The backlit display allows you to easily select the design of your choice. You can also transfer designs directly to the Brother PE770 Embroidery Machine, thanks to the USB connectivity. Simply download the designs to your computer, copy them onto the USB, and connect the USB stick to the Brother PE770. You can also easily download machine updates to keep your embroidery machine up to date. A built-in card slot is also available in the Brother PE770 Embroidery Machine. This cheap embroidery machine has an auto thread trimmer and automatic needle threader. The Brother PE770 makes it easier to complete embroidery work. If you want a cheap embroidery machine with impressive features, the Brother PE770 could be a good option for you. 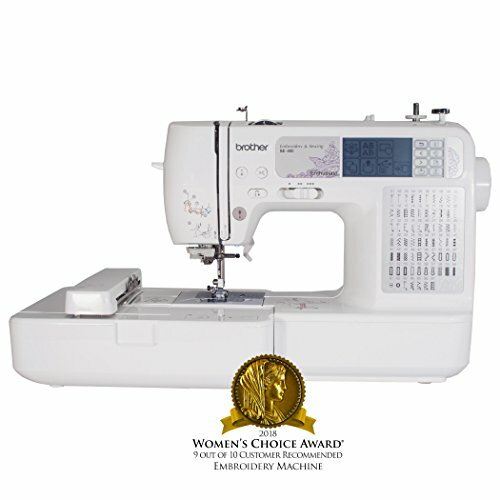 The Brother SE1900 computerized machine is great for both sewing and embroidery. It comes with 138 built-in designs that you can select, view and edit through the colored LCD touch screen. The 5×7 inch embroidery area is available to help you create larger designs. 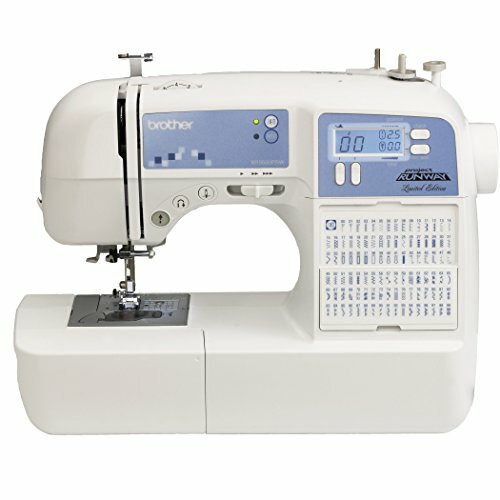 The Brother SE1900 comes with overcasting, buttonhole, monogramming, zigzag, zipper, button fitting, blind stitch, and embroidery feet. In addition to the 138 built-in designs, there are 240 built-in sewing stitches that give you plenty of options to choose from. Eleven lettering fonts including seven English, three Japanese, and one Cyrillic are built into this sewing machine. All this functionality may sound a bit overwhelming but you will be able to understand it, thanks to the easy to follow instruction manual. The Brother SE1900 has several remarkable features but it is still inexpensive. So, you will get the value for your money if you bought this cheap embroidery machine. The Brother PE800 is another great embroidery machine that is relatively inexpensive compared to other embroidery machines currently available on the market. It comes with 138 built-in designs and 11 lettering fonts. You can select the designs from the colored LCD touch screen. The USB port enables you to copy custom designs into the machine for future use. For larger designs and combining designs, you can use the 5”x7” stitching field. The Brother PE800 allows you to edit designs so you can mirror image, rotate, change the size of the design. The extensive features may not be easy for you to understand. Fortunately, online tutorials are available to help you out. This machine does require some learning but it will be an extremely reliable one and a great addition, once you have learned to use it. The Singer 7258 is a good cheap embroidery machine that comes with 100 built-in stitches. Durable and powerful, this machine delivers a high sewing speed of about 7258 stitches per minute. The large LCD screen allows you to view your stitches including their length and width. You can adjust the length and width of the stitch according to your project requirements. Other impressive features of the Singer 7258 include 6-segment feeding system, horizontal threading, built-in reverse, programmable needle up/down, automatic bobbin winding, foot lifter, and speed control. If you are looking for a cheap embroidery machine, then the Singer 7258 could be a good option. Although it isn’t generally advertised as an embroidery machine, it has tons of impressive features that you would need for embroidery work. The Brother XR9500PRW is an inexpensive yet powerful embroidery machine that packs plenty of advanced features. It comes with 100 built-in decorative, heirloom, and utility stitches. You can use it to create a unique quilt and embroidery designs. The large back-lit LCD makes it easy for you to select the stitch you want for your project. You can use the 55 built-in alphanumeric stitches for basic monogramming and lettering. One important thing to note about the Brother XR9500 is that the manufacturer doesn’t recommend using it in countries where 120V AC isn’t supported. Monogramming, overcasting, zipper foot, and blind stitching will help you complete your embroidery and sewing projects with ease. A spool spinner comes with the machine and there is also an oversized wide table that will accommodate your larger projects. The Brother XR9599 PRW is incredibly easy to use which makes it a great choice for beginners. The Singer Quantum Stylist 9960 is another great cheap sewing machine that you can use for embroidery work. Top drop-in bobbin system and automatic needle threader make it easy for you to set up the machine for work. 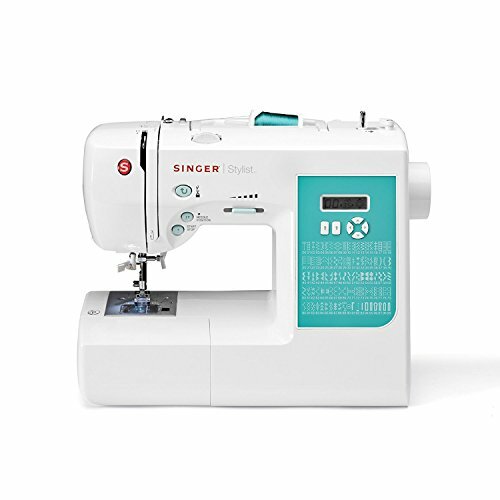 The Singer Quantum Stylist 9960 comes with 600 built-in stitches including five different fonts and 13 styles of automatic 1-step buttonholes. Moreover, the stitch editing capabilities of the machine allow you to control the look of your selected stitch pattern. The thread cutter automatically trims the lower and upper threads when you’re done sewing for easier and faster sewing. The electronic speed control and autopilot make it easier for you to control the sewing speed to ensure that you get error-free results. The Singer 9960 is a good choice for both beginners and advanced users. The machine delivers robust performance and has strong built so it will certainly serve you for a long period of time. It has some great features for embroidery work. So, if you are looking for a cheap embroidery machine from Singer, then Singer Quantum Stylist 9960 is probably the best choice. Now that you know the cheap embroidery machines available on the market and their functions, features, and capabilities, you will be able to choose the one that best meets your needs. Carefully read the features available in each of the embroidery machines mentioned above to ensure that you make the right decision. Since we have reviewed the best cheap embroidery machine, you don’t have to do the legwork in finding an inexpensive embroidery machine. The machines we have discussed offer the best value for money, so you wouldn’t regret your decision to buy one of the cheap embroidery machines discussed here.